At elevateHim, we want you to know that partnering with this ministry is more than a financial transaction. When you join this ministry in monthly giving, you are also joining us in elevating Jesus one life at a time. People matter to us! By joining together with elevateHim, you become part of the vision, implementation and ministry team that impacts thousands of people each year. Our triumphs, failures, pains and celebrations are experienced together as we become co-laborers in Christ. Together, we get to be a part of something bigger than ourselves as God moves, leads and directs our steps. Our commitment to global and local missions continues to help men, women and children see the hand of God move in their lives. We are also committed to helping God’s sons and daughters face the issues in their lives that have imprisoned and prevented them from living in the freedom and peace that God originally intended for them and allowing them to begin to live in their true identity as a believer in Christ; as sons and daughter with the full inheritance of Jesus’ finished work on the cross. 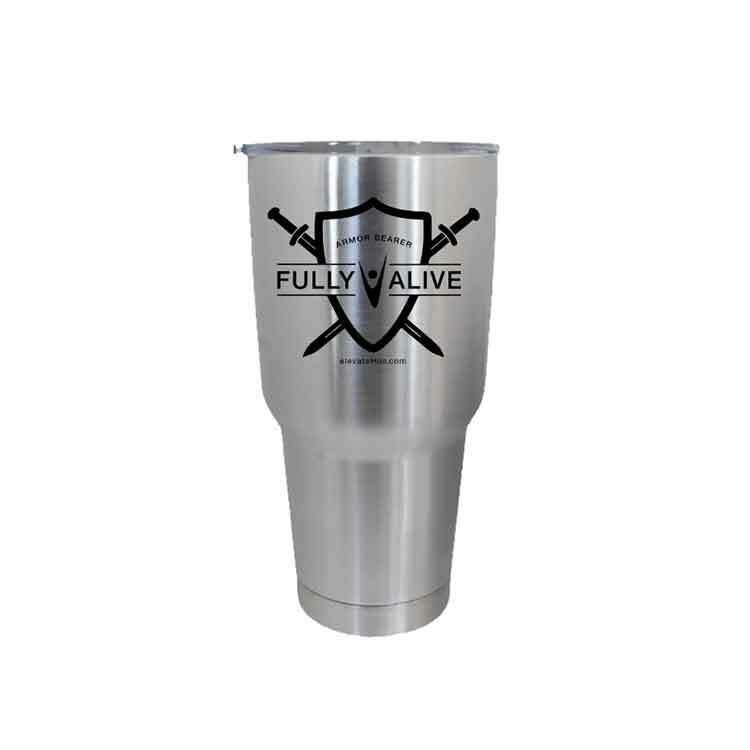 At Fully Alive, the shield has always represented the act of guarding our hearts (Prov. 4:23). The Armor Bearer is someone who takes up the shield and agrees to fight on behalf of his or her brothers and sisters. They have embraced their identity in Christ by participating in all five kingdom currencies; time, talents treasure, touch and words as we execute God’s vision together. It’s not just a monthly payment. It’s a commitment to picking up your shield and fighting for the hearts of God’s sons and daughters alongside of elevateHim Ministries. 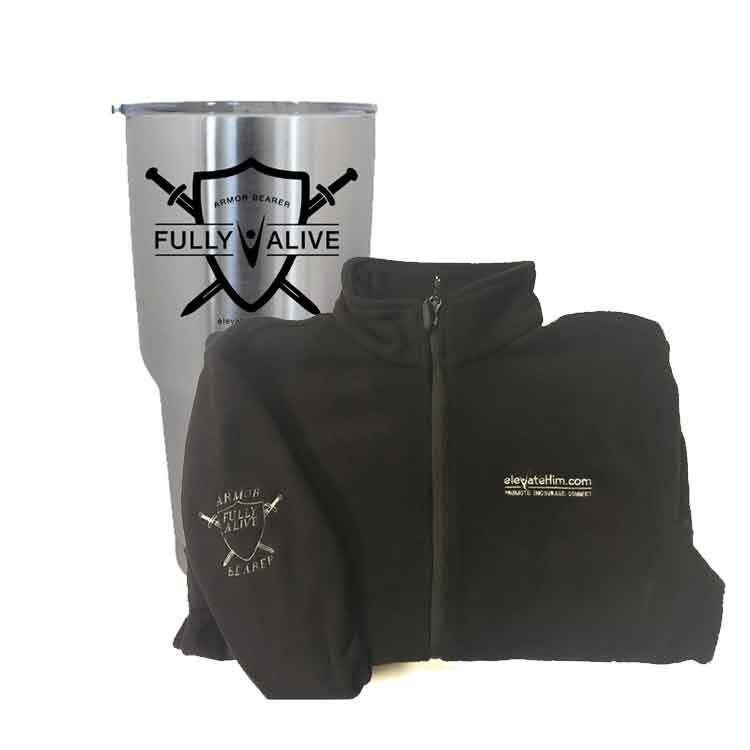 To show our appreciation for our Armor Bearers, we want to bless you with a gift that identifies you as an Armor Bearer for elevateHim and shows our appreciation for your commitment. NOTE * 12-Month minimum subscription required. These items are only available to Armor Bearer at those levels. 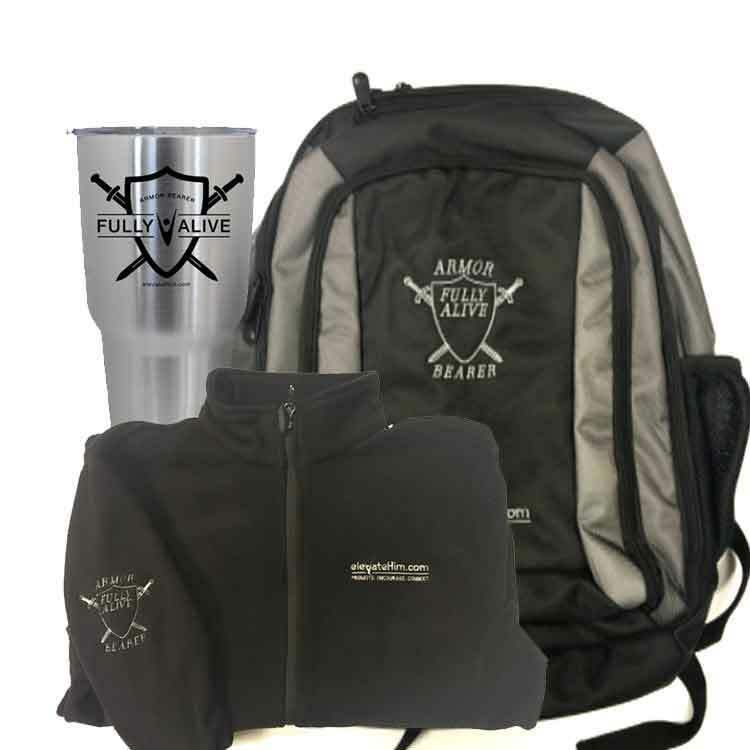 A supporter may purchase additional items at their specific levels at a reduced cost.